We inspect Birmingham Commercial Real Estate to help you save time, money, and headaches! No two commercial real estate properties are exactly alike, and we take pride in our ability to address your individual commercial inspection needs so that you can achieve your real estate and business goals. 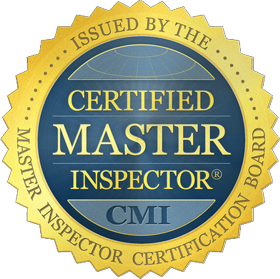 With over a decade of experience and 5,000+ inspections under our belt, we know how to inspect Birmingham commercial real estate. South East Building Consultants is a preferred building inspection company that thousands of buyers, sellers, investors, and tenants choose when they need trustworthy, accurate, and timely commercial building inspection reports. You've already found the right company to inspect your Birmingham real estate, so call us today to learn more about how we can help you to protect what is potentially your largest single investment. South East Building Consultants is trained and certified to perform Thermographic inspections using Infrared Thermal Imaging equipment. Having the ability to see beyond what the naked eye can see provides you with a much more thorough and accurate building inspection. Thermographic inspections can help you to avoid potentially costly damage by finding problems before they cause a financial nightmare.